The spine as a whole operates as a functional unit. Each vertebra can affect its neighbor and one portion of the spine may affect or damage other areas of the body. Massage therapy seeks to enhance the overall health of the body by improving circulation, joint function, soft tissue mobility, and normalizing the body's ability to withstand stress. 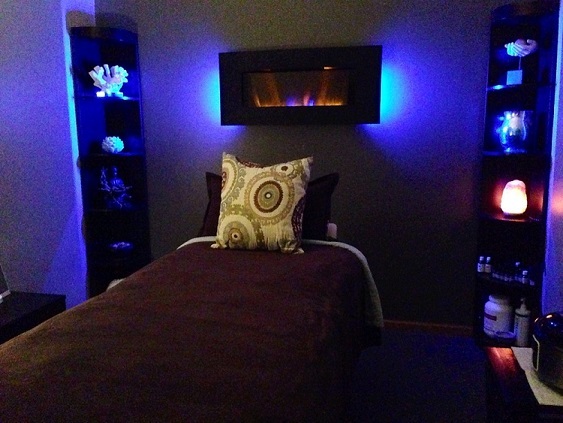 Contrary to popular belief, massage therapy offers more than just relaxation and stress relief. Massage therapy is one of the most common methods of treating and preventing pain. It can provide relief from the symptoms of anxiety, tension, depression, insomnia, and stress, as well as back pain and some forms of chronic pain. It is also frequently recommended for the treatment of minor sports injuries, repetitive stress injuries and for the enhancement of physical conditioning. Some people find that it even relieves such digestive disorders as constipation. Listed below are some of the common techniques used by massage therapists to help treat your condition. This is the most well-known type of massage. It serves to relax the body, increase the level of oxygen in the blood, improve circulation and flexibility, and even release toxins in the muscles. This is done by applying pressure to the muscles, and rubbing in the same direction as the flow of blood returning to the heart. Possible benefits of a Swedish massage include relief from stiffness, numbness, pain, constipation, circulation improvement, increased muscle tone, and a decrease in the recovery time of a muscle strain. Deep Tissue Massage is similar to Swedish massage, but it focuses on the deepest muscles, tendons, and fascia (the protective layer surrounding muscles, bones, and joints). This technique is helpful in releasing chronic muscle tension, stress relief, and can even boost your mood. Massage during pregnancy not only makes a woman feel pampered, but offers undeniable physical benefits as well. Massage can relieve fatigue, enhance sleep, and calm an active baby. During the entire term of the pregnancy, massage can stimulate blood flow, which may assist in the prevention of anemia. An increase in muscle tone and flexibility will occur, alleviating leg cramps and muscle spasms.